Exercising your brain will help keep you sharp even into old age. Paul Heavenridge’s Literary Works article reviews why reading keeps your brain sharp. And Sadie Trampette’s article will prompt you to increase your brain power by giving it a reading workout every day. 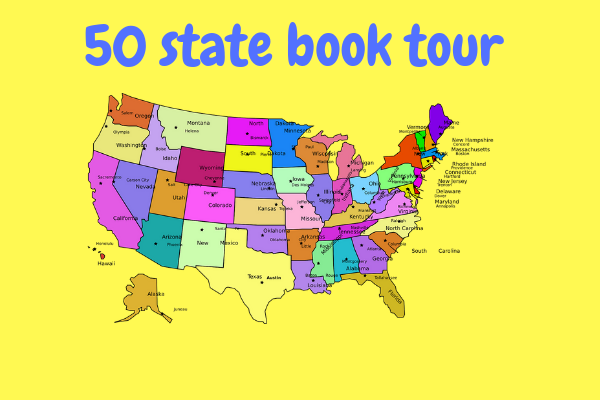 To help you exercise your brain join along on the 50-state book tour. What you can see and read in the following states. In 1963 the University of Mississippi Medical Center accomplished the world’s first human lung transplant, and, on January 23, 1964, Dr. James D. Hardy performed the world’s first heart transplant surgery. Borden’s Condensed Milk was first canned in Liberty. The first successful parachute jumps to be made from a moving airplane was made by Captain Berry at St. Louis, in 1912. On the banks of the Mississippi River, Tom Sawyer and his friends seek out adventure at every turn. Then one fateful night in the graveyard they witness a murder. The boys make a blood oath never to reveal the secret, and they run away to be pirates in search of hidden treasure. Sterling Morton founded Arbor Day in Nebraska City in 1872. My Ántonia was enthusiastically received in 1918 when it was first published. It was considered a masterpiece and placed Cather at the forefront of women novelists. Today, it is considered her first masterpiece. Cather was praised for bringing the American West to life and making it personally interesting. It brought place forward almost as if it were one of the characters, while at the same time playing upon the universality of the emotions, which in turn promoted regional American literature as a valid part of mainstream literature.